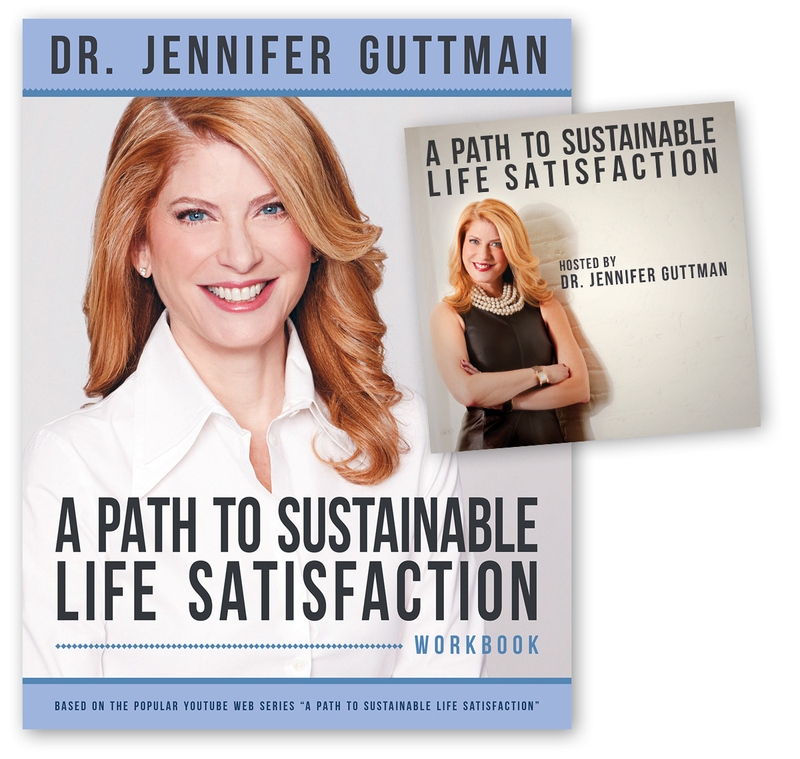 Dr. Jennifer Guttman is a highly-respected Cognitive Behavioral Therapist who launched her new brand platform/ “Sustainable Life Satisfaction with her popular YouTube web series. In her new workbook,”A Path To Sustainable Life Satisfaction,” she expands on that concept and her mission to help people become masters of their lives. She explains her six core techniques, Starting Is Easy, Closing Is Hard, Decision Making, Facing Fears, Reducing People-Pleasing Behaviors, Avoiding Assumptions and Active Self-Reinforcement, and how when they’re coalesced together, they can serve as a blueprint that will motivate and make you feel more empowered and self-reliant. Her techniques are reinforced by several complementary exercises that are designed to challenge and help you think about happiness in a more realistic way. Instead of chasing happiness, she encourages people to focus on achieving sustainable life satisfaction. EVERYONE ON SOCIAL MEDIA “LOOKS LIKE” THEY HAVE THE PERFECT LIFE. NO ONE DOES. EVERYONE, AND I MEAN EVERYONE, IS JUST GUESSING. 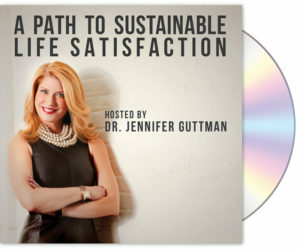 A PATH TO SUSTAINABLE LIFE SATISFACTION is a newly mixed and mastered audio CD taken from Dr. Jennifer Guttman’s popular YouTube web series of the same title. It features the full audio from her series special and comprises all six episodes. NOTE: Your free CD will be shipped to the mailing address you’ve listed in the form on September 25th, the same day the book will be published on Amazon.com. MAKE ATTAINING ALL YOUR OTHER GOALS THAT MUCH EASIER. Do you struggle with making decisions on your own? Do you ever feel like a fraud or an imposter at work? Have problems finishing what you start?